For decades Austria and France have vied for the title of Britain’s most popular ski destination. Currently France holds that title and continues to benefit from more UK skiers, than any other country. However in recent years Austria has changed this direction and is gradually regaining ground. And many skiers will tell you that Austria offers a experienced that is second to none. In recent years Austria has invested heavily in the development of its ski resorts. It was spent billions on improving both the ski lift system and snowmaking, across all its medium to large resorts and many of it smaller ones as well. Austria is definitely the most picturesque country to go skiing in, matched only closely by it’s neighbour, Switzerland. When comparing it to France or Italy, which both have some incredible offerings, Austria’s quaint, charming and sometimes chocolate box feel, with it’s valley based resort villages make it an ideal backdrop for your family photographs. After lagging behind for years they now have fast lifts, more and more connected resorts and excellent services. It is now definitely on a par, if not ahead of most of its competitors. With most of the ski resort set at lower altitudes, there has been a huge investment in snowmaking and this has been a real game changer. Added to this with the investment in lifts, means waiting times, even in the busiest resorts, have reduced dramatically and in many instances are the fastest in the ski world. For most experienced people, when talking about skiing in Austria , will tell you how great the apres-ski and slopes side food is. And in Austria it is not limited to groups and young people, because you can often see parents and toddlers enjoying the loud happy music and the warm friendly people in most locations. Also important in the times of increasing cost, but particularly from the exchange rate, apres-ski in Austria sure is generally good value for money. Also despite there being downside to low altitude ski resorts with the effects of global warming, it is important to remember that often it does have one of the high ski resort in the world and also a number of very good quality glaciers, that does allow some skiing all year around. When start looking more closely at Austria, you will see that as mentioned earlier it is one of the most beautiful mountain regions in the world. With that in mind, if you could see that virtually all resorts are built around traditional building methods and and styles and so it is created a beautiful setting for your ski holiday in the large majority results. You don’t see the same level of purpose-built properties, as you do in many French ski regions and the only country to come close is across the border in Switzerland. As mentioned earlier, Austria definitely has a different approach to it apres-ski, seeing restaurants on the slopes staying open much later than you would see in most other European ski countries. The Austrians as well as their neighbours the Germans do love the party and whether in the village or somewhere on the lower parts of the piste, you will often see partying going on late into the night. When it comes to eating out in Austrian restaurants there are one or two major differences for UK visitors, when compared to in France. Firstly in a lot of local restaurants you will have to get used to the fact that there are often large tables, which are shared by different groups when eating. Obviously if you’re very social this is an easy thing to get used to, but is not for everyone. Secondly, Austria still allows people to smoke in bars and restaurants, which is one of the few European countries to do so. For UK visitors, who have not seen this for over a decade, this can come quite a culture shock and seems quite unpleasant. Also you will see how much smaller choice of cuisine, in Austrian restaurants. They have some traditions that are very popular in ski resorts and is definitely to be considered as hearty food. This is not set in a negative way as the food can be incredibly tasty, however six or seven nights and lunches can make you yearn for something different. With that in mind some of the larger ski resorts have definitely seen growth in Italian and some other cuisines in the last decade. If you haven’t been to Austria before, and of mainly skied in France, you will find it considerably different, particularly when it comes to the sizes of ski area you have in resorts. At Snowresort.ski we are firm believers that the ski industry has created an over emphasis on large ski areas. So smaller suitable Austrian ski resorts, for us do not create an issue. 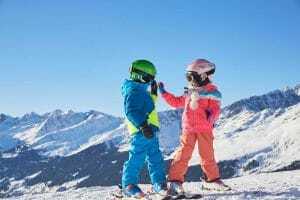 However there are plenty of holidaymakers out there that want acres of skiing to do during every trip and in the last 10 to 12 years that has begun to be dealt with by Austria with the connecting of ski resorts into larger ski areas. You will now see large key areas like the Skiwelt , Saalbach and Arlberg, creating ski areas approaching or exceeding 300 km of runs. Unfortunately one thing you do have to be aware of, is that some resorts have been exaggerated the size of the ski areas. One thing that is important to bear in mind in Austrian ski resorts, is that very few offer any special concessions for beginners. In most cases you have to buy the full price ski pass, even though you are only utilising a small number of suitable ski runs. 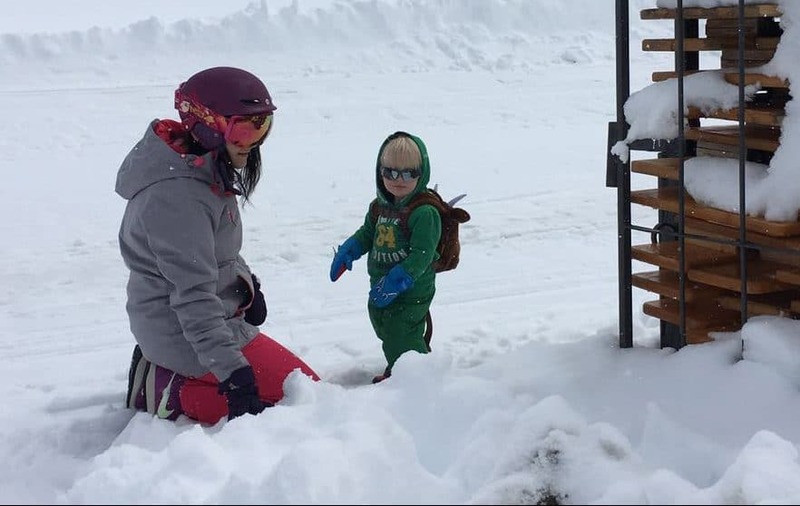 There are exceptions to this and a number of large ski resorts, such as Solden, Alberg and Kitzbuhel do you have special passes for nursery areas and similar. As we increase the number of ski resorts we have in our resort guide area on SnowResorts.ski you will see, that we will endeavour to identify the results that will give you the benefit of cheaper access to the slopes, while you are learning in your early days. 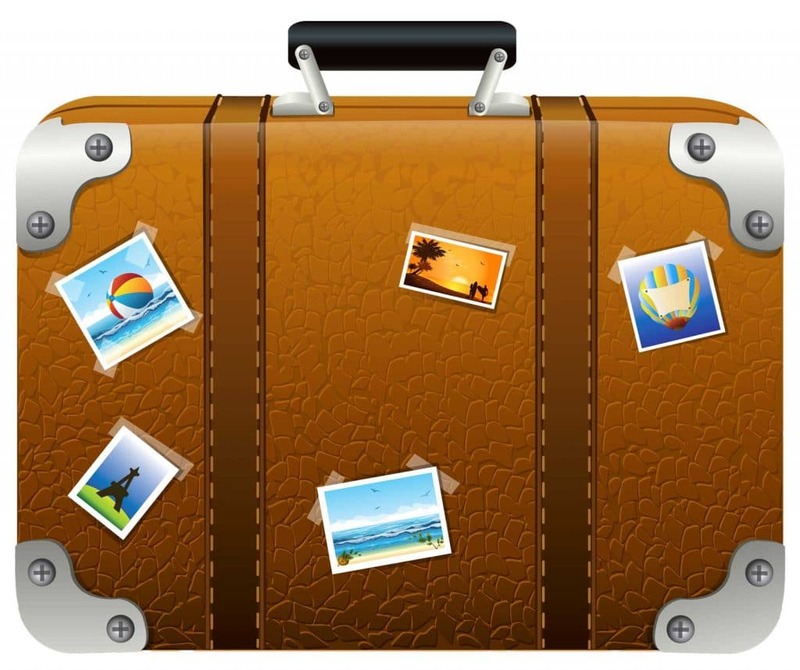 A large portion of skiers will travel to Austria as part of a organised trip through a tour operator. 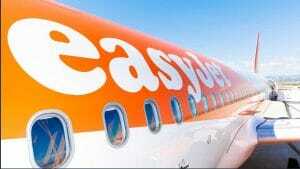 Therefore the usual means of travel will be on the charter plane provided. There are a limited number of coach holidays to Austria. And you will also see quite a number of people, who despite booking their accommodation and services through a tour operator will pick the option of giving up their flight and driving there anyway. It is relatively straightforward to drive to Austria and there are a number of routes. For the purposes of this article we will use Innsbruck as the benchmark, as the centre of the transport network to the Tyrol. Therefore, Google calculates that it is 659 miles or 1060 km to drive from Calais to Innsbruck. The timing of this is usually quoted at around 10 hours, but depending on which route you use and the time of travelling, it is more likely that it will take you 10 1/2 to 11 hours. The preferred route taken , is through Northern France using the toll roads, and therefore adding an additional cost of tolls, while the other route takes you north through Belgium and down into Luxembourg. This is a popular route with regular travellers as Luxembourg is a cheap fuel top up point, particular if you have a diesel vehicle. Both routes merge bringing you close to Stuttgart then travelling then down from there through the alpine tunnels of northern Austria into Innsbruck or across to the country to the Salzburger region. When driving you should bear in mind that there are a number of rules relating to both Austria in general and the Austrian Alps in particular. If travelling on the motorways you must purchase a toll badge called a vingette, which is not expensive £8 for 10 days. However it is an offense not to do so and the fines are significant. You will notice when driving on Austrian motorways, they are much more aware of the speed limit and lorries are limited. Therefore, you need to be aware that they will not be driving nearly as fast as we see UK lorries doing. It definitely makes Austrian motorway driving less stressful. Austria does have very rigid rules about winter car equipment and it must be adhered to for both safety and to avoid penalties. you have to have winter tyres and these are common sense to have them. The subject of winter tyres will be covered in a different article. However we strongly recommend that you comply with this rule in Austria. You will find all vehicles hired from Austrian airports will be fitted with winter tyres, however you must be careful when flying to Munich as this is definitely not the case and you need to arrange for them to be fitted in advance of your trip. It is possible to travel to Austria by train, but this is not commonly done by UK skiers and we will cover it in a separate article about train travel. The other main way to get to Austria, is of course flying. There are three main options, with two suitable Austrian airports, Salzburg and Innsbruck, with the third option of Munich in Germany. Innsbruck is definitely the best option for skiing in the Tyrol, while Salzburg is the best place to go if you want to ski in Salzburger land region. Both of these offer resorts as close as half an hours drive away and therefore make it even easier than travelling to most French resort via Geneva or Lyon. Unfortunately from the UK, there aren’t enough options and flying to these two airports, so many people Use Munich in Germany which is realistically a couple of hours drive from the main results. As the vehicles come ready with winter tires and the opportunity to get snow change. If you are however flying into Munich you have to be careful and make arrangements prior to travel to ensure that your vehicle is suitable to meet Austrian law driving in the mountains and importantly for your safety. So overall you can see that Austria is a very welcoming and suitable ski country for UK skiers. 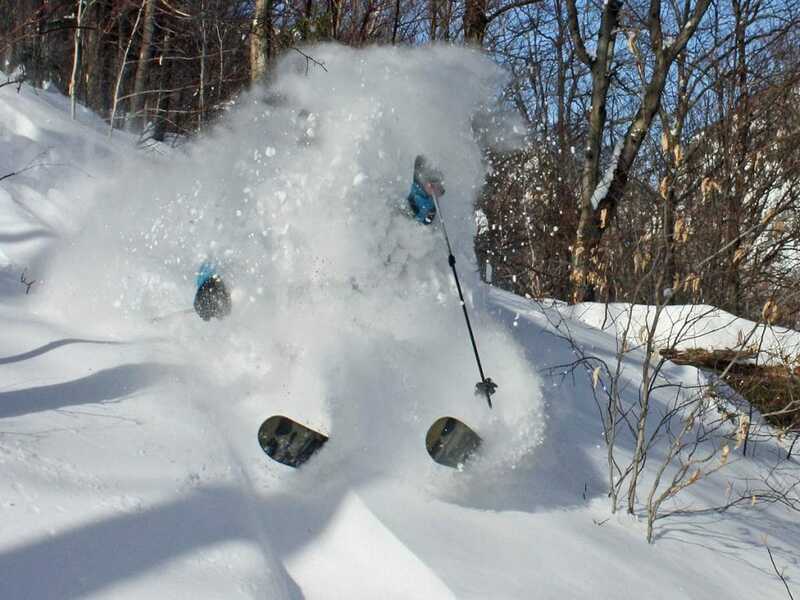 it offers over a hundred resorts to satisfy most of your skiing and snowboarding requirements. Austria relies heavily on the tourist industry to support various regions of its country and they definitely make every effort to ensure your visit is good.